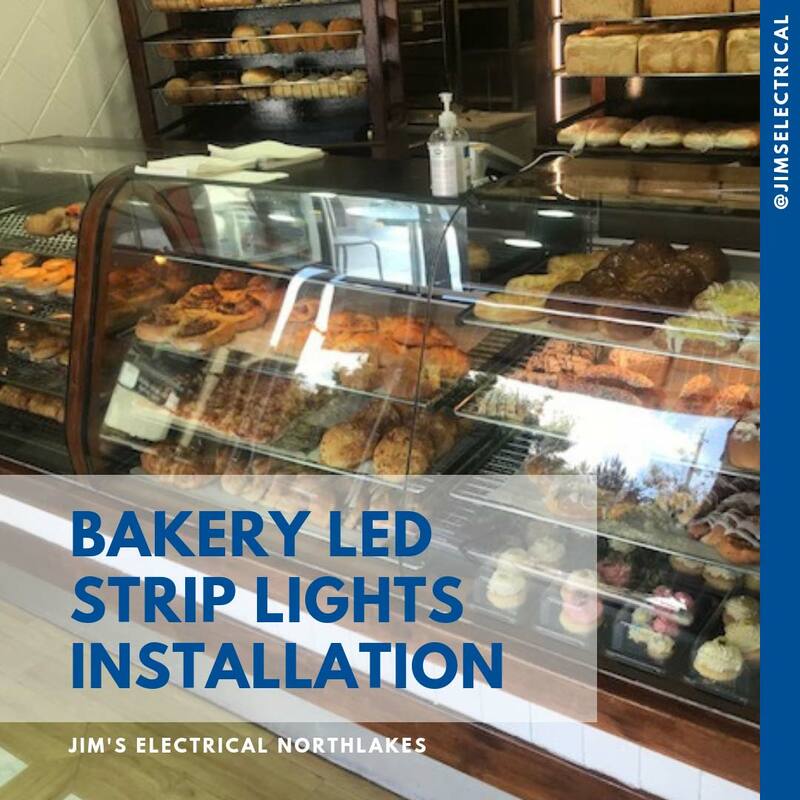 Jim's Electrical Northlakes has installed some energy efficient LED strip lights for the Chaffeys Bakery in Chapel Hill. Whilst it is very hard to take your eyes off the outstanding bakery items in the cabinet - they look seriously good, the new Display Cabinets have had new LED strip lighting installed. The staff are stoked! Cleaning the display cabinets is now much easier and much safer with no risk of breaking the fluro lighting that was there previously. Jim's Electrical can help make your work place not only look better but safer too!